‘G od bless you.’ I’ve said that to people, have you? What do we mean when we say that? I think I’ve meant – ‘may everything go your way’. Jesus puts us in a topsy-turvy world with these words. Maybe blessing will bring about circumstances that humble us, so that we are poor in spirit. Maybe to be blessed will bring about mourning, so we can understand comfort. Maybe to be blessed will bring about strife, so we can learn to be peacemakers. Our self-centeredness makes us want exactly what we want. What God is about is having a close relationship with Him and making us more like Him Sometimes that means having the opposite of what we think will be a blessing occur to us so that the blessing can follow. So, when you are going through troubles it might just be God blessing you, you just haven’t seen the end results yet. This entry was posted in Faith, Inspiration, Trust and tagged Beatitudes, Blessing, change, Faith, God, Jesus, Persecution, Poor, Sadness, transformation on January 24, 2013 by faithpondering. In a recent study, the majority of kids ages 12-15 are spending their summer days in front of the computer, watching movies and television, and shopping at the malls. ordinarily however you keep clear of sugars and additionally starches. Ouais toute sorte de bonne infos. 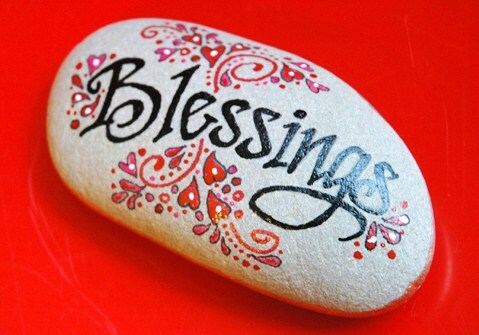 Pingback: How to be a blessing « Coco Michelle's Lifestyle Blog!